Although spider veins don’t cause pain, both this type of vein and varicose veins are a common cosmetic concern. 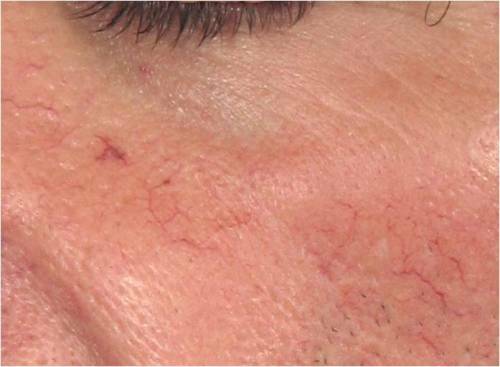 Facial spider veins may be seen as a blemish and those that suffer from them may feel they detract from their attractiveness. Varicose veins often make sufferers feel they have to hide their legs, and they can also be painful. Using laser vein therapy to treat spider and varicose veins is an effective, non-surgical and non-invasive treatment. There are no needles involved and it’s a safe and comfortable procedure. There’s also no downtime—no bruising or blistering once the procedure is completed. Laser Vein Therapy is safe for most skin types, although it’s not recommended for people with varicose veins that are knotted and raised. It’s also very effective when combined with an IPL or Photorejuvenation treatment to remove facial veins. There’s no longer any need to be embarrassed by spider veins which have accumulated on the face and/or legs or discomfort or embarrassment due leg veins. Laser Vein Therapy is a non-invasive treatment done with pulsing light to treat the appearance of veins. There are many reasons why veins can become highly visible over time: sedentary lifestyle, age, sun-exposure, and the natural effects of gravity are some of the causes for blood backing up, especially in the legs, which is where the appearance of veins is most common. Though spider veins and varicose veins are often something that happens naturally over time, they are easy and painless to treat. Laser vein removal is not recommended for knotty varicose veins. However, smaller varicose veins and spider veins can be treated very effectively with laser vein therapy. The treatment reduces the appearance of both superficial and deep veins, changing the appearance of skin that has been heavily veined for years. As it is non-invasive, laser vein therapy is for almost anyone who wants more youthful looking skin. Unlike other more invasive treatments that use chemical injections, laser vein removal uses pulsing light to reduce the appearance of veins in the skin. The high power of the light causes the veins to fade and finally disappear. Britannia Dermedics treatments are safe and are intentionally designed to sensitively treat many different skin tones and types. • Not only does it improve your energy levels, but an active lifestyle keeps blood flowing throughout the legs and arms and improves your vein strength and blood circulation. You don’t have to do a marathon–just keep moving. • In line with exercise, elevate your legs when you are resting. This reduces the amount of time blood pooling in your legs. 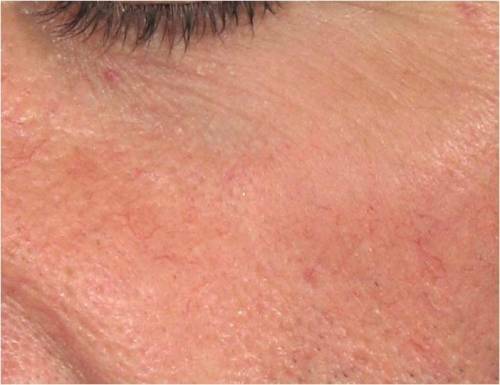 • Sun damage to the face can cause spider veins to appear. Though spider veins can be treated on the face with Limelight facials, prevention is always important in combination with skin treatments. A combination of daily skin care from the right sunscreens and moisturizers to gentle rejuvenation treatments is the key to skin that looks and feels young for a long time.